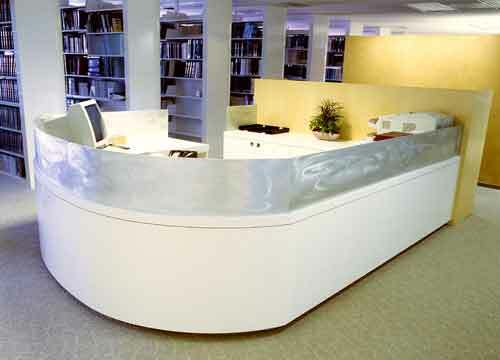 © 1994 This conference table is made of smaller tables that are "ganged" together. 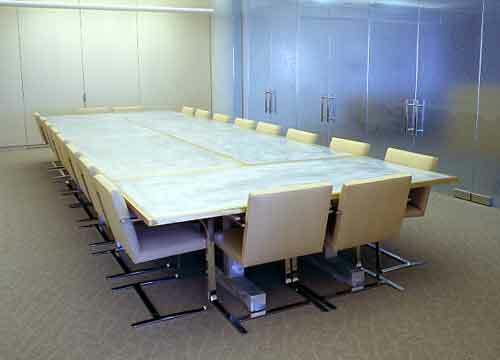 There are a total of 14 tables that can join together to create a conference table that can seat 35 people. 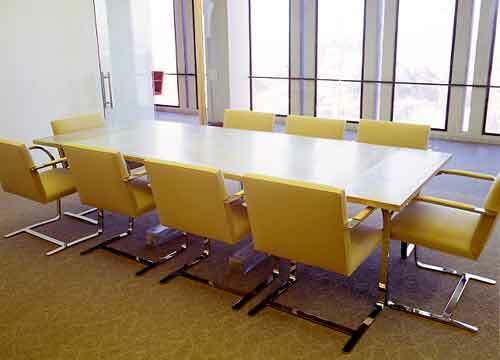 The tables can be used individually or arranged in smaller groups. The tables are designed to be mobil, the tops tilt and there are castors hidden in the table bases that allow the tables to be stoared when not in use. All the tables can be removed from the conference room and stoared if desired. 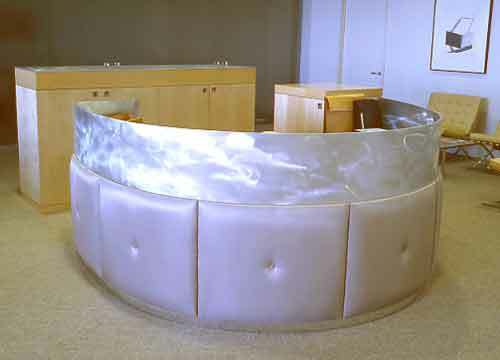 For this project we also fabricated the aluminum for the main reception desk and the library reception desk.